All day it snowed, the cloud low and thick above us. 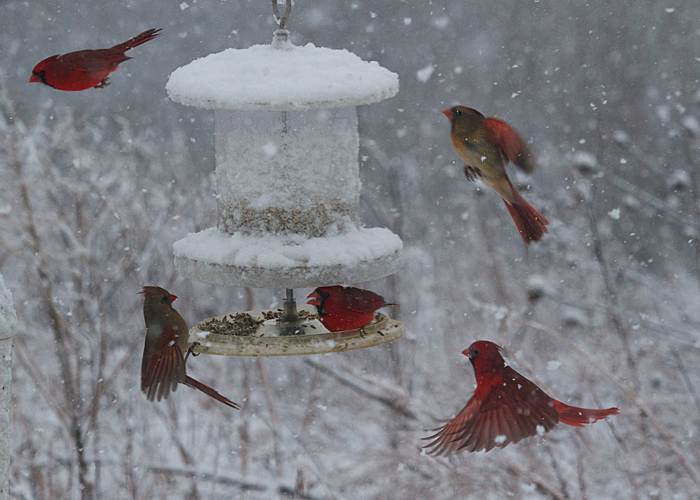 A dozen cardinals gathered round the safflower feeder. Here five are vying for seating at the table. This is the feeder that the cardinals are using in the picture at left. It's a high-quality binocular, one that bears comparison to the highest-priced binoculars in the world. It has outstanding optics and it's superbly hand friendly. 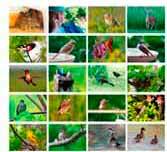 Yet its price is in reach for serious but budget-minded birders.